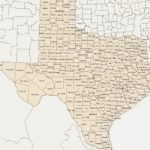 This site is part of the TXGenWeb and USGenWeb projects dedicated to the genealogy and history of Irion County, Texas. Click on the name to visit the Find A Grave Memorial. If there is not a memorial on Find A Grave the name will not have a link. If you have photos of a cemetery, headstones/markers or information on the people buried in one of the Irion County cemeteries, or if you have transcribed a survey of a cemetery in Irion County, please consider contributing your information to The Irion County TXGenWeb Project.